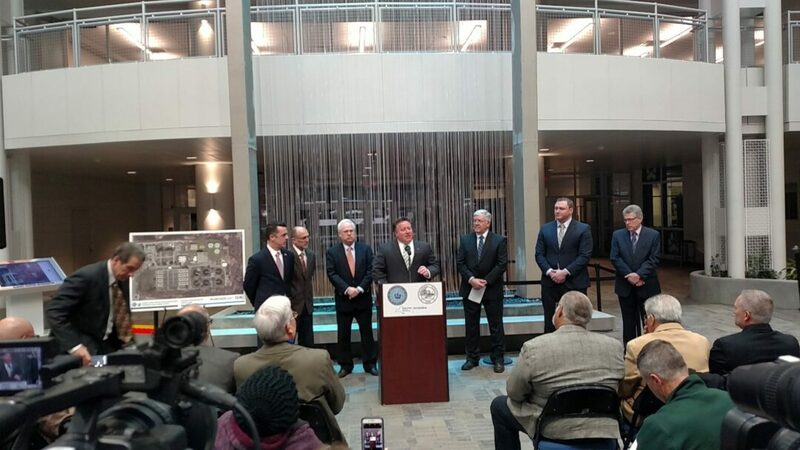 Albany and Saratoga county leaders have announced an inter-municipal partnership to establish a jointly-owned and operated regional biosolid waste facility. Both counties have authorized the creation of an agreement to construct, operate and administer the facility, allowing them to move forward with the project and begin the preliminary design stage. “I applaud Albany and Saratoga counties for demonstrating how local governments can work together to better serve their constituents while also reducing harmful emissions,” said Alicia Barton, president and CEO of the New York State Energy Research and Development Authority. The facility, which will be located in Menands, will be equally shared in use and cost between the two counties and will be able to generate energy for a portion of its own consumption. Current project estimates suggest that total project costs will be approximately $45 million and that the agreement will save each county more than $20 million over the next 20 years. According to county officials, Albany County spends approximately $2.2 million per year on biosolids handling operations between its two facilities. Aging infrastructure and regulatory compliance required the Albany County Water Purification District to examine ways to continue to process biosolids in the most cost efficient manner and it was determined that this agreement would provide the communities served by the District with substantial long term savings. Currently, Saratoga County spends approximately $2 million per year to haul biosolid waste from its facility, a method considered unsustainable in the long-term. The inter-municipal agreement will save Saratoga County money that would have been spent constructing its own facility to manage this waste processing. After 20 years, it is anticipated that this new facility will actually generate revenue for both counties. The project is also expected to significantly reduce carbon emissions and allow for the solids to be classified as a ‘Class B Solid’ by the federal Environmental Protection Agency, which can make them eligible for land application, instead of being directed to a landfill. Final construction costs and timelines will be determined through the bidding process, according to the office of the Albany County Executive. The target release date for design request for proposals is June 2018 and it is expected that the counties will review proposals for approximately one year. NYSERDA provided 50 percent of the funding for the initial feasibility study which determined that this project could reduce greenhouse gas emissions and benefit both counties. “Their leadership will help New York in its fight against climate change,” said Barton.